I will gladly admit sailing is a passion of mine. I’ve been romanced by silent slow sojourns on the water since childhood. I didn’t grow up on the water; we never owned a boat, with the exception of a canoe for fishing. But I’ve been drawn to the sea as long as I can remember. So it’s easy to understand why each time Amanda and I head toward water we find a way to go out on the water. Our recent trip to Saint Michaels on the Eastern Shore of the Chesapeake Bay was one of those perfect opportunities for us to sail away, if only for a couple hours. The key things we look for when choosing a trip are a classic sailing ship (something made of wood) and a small sailing party (six or fewer guests). 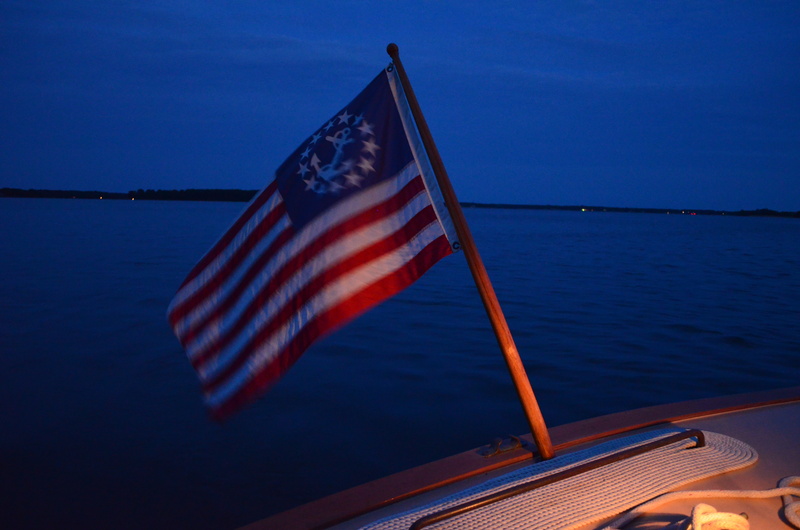 The Selina (pronounced with a long “i” as in Carolina) is a just the right kind of boat. She is a 40-foot long Gaff-rigged Crosby Cat, built in 1926 and currently captained by Iris Clarke, granddaughter of her original owners. 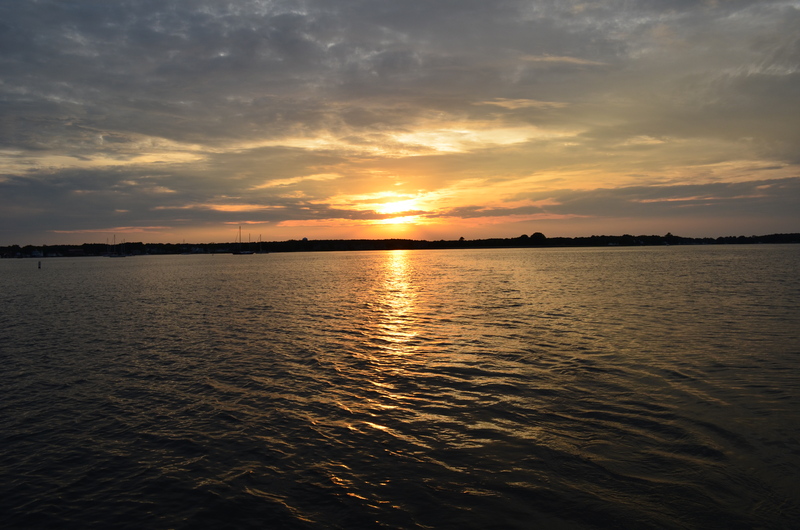 The small complement of six passengers set sail from the dock in Saint Michaels for a gentle and romantic sunset sail around the historic Chesapeake. Iris took us back in time describing the history of the port of Saint Michaels and pointing out other historic ships in the harbor. I even got to help out raising the thousand square feet of sail up the 48-foot mast. I love the sound of the ropes running through the pulleys as a sail is raised. We cruised out in to open water where the wine began to flow as the sun began to set behind us. The conversation with other guests and the tales of Selina’s colorful past from Iris passed the time almost too quickly. The stars began to blink into existence and then we turned back toward the sparkling lights of the boats at anchor in the harbor. 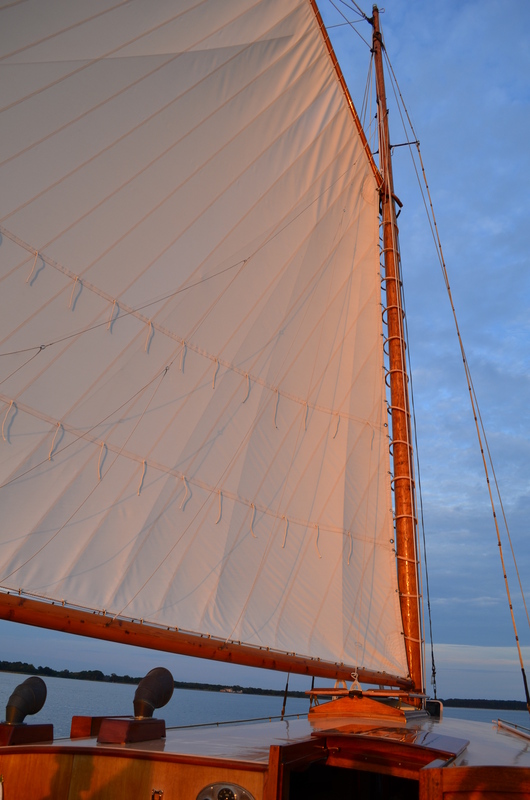 I would always suggest getting out on the water and watching the sails fill as our ancestors did. The reliance on the wind is also the most environmentally-friendly way to travel across the water. If you’re in Saint Michaels look up the Selina and relax as Iris takes you on a journey into our collective past.